It’s award season and as many famous celebrities prepare to walk the red carpet, our FirstLight Home Care franchise operators across the United States are walking the “caring carpet”. 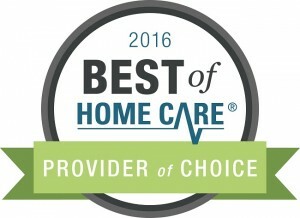 We are honored to announce the 51 FirstLight Home Care offices that won the prestigious Provider of Choice, Employer of Choice, and Leadership Excellence awards from HomeCare Pulse. Find a FirstLight Home Care location near you.